Situated in the heart of the Lakes District, the Lakes Distillery is changing the game when it comes to English alcohol. Made with local ingredients, their portfolio of gin, vodka and whisky reflects the landscape and offers a carefully crafted series of exceptional spirits. He set up Isle of Arran Distillers, the first new independent distillery in decades, with his dad in 1995. So that's two separate, independent and world-class distilleries under his belt within 20 years! With a core focus on the hand-crafted spirits combined with on-site experiences, the distillery itself is every bit as important as the product created there. Not so much in colour (save for the rolling fields and luscious landscapes) but with regards to their sustainability and environmental procedures that are in place. Given that the Lakes Distillery is in a National Park, it is unsurprising that the protection and preservation of the surroundings remains important. In order to reduce its carbon footprint, the distillery uses biomass boilers that burn fuel from sustainable sources, and the draff, or barley waste, from whisky production, is fed to the local cattle. The distillery also has its own on-site sewerage plant and recycled water is used for cooling the plant. 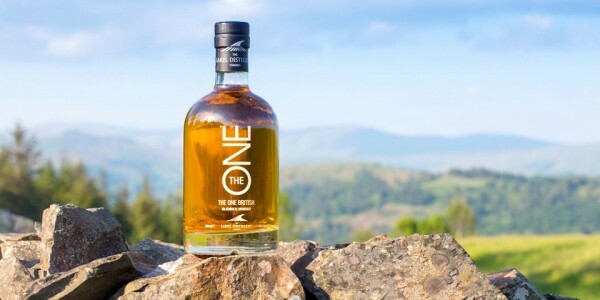 The first release from the Lakes Distillery was 'The ONE' whisky - a blend of British whiskies that had not been done before. It picked up a silver in the IWSC awards within the distillery's first year of opening. But the craft of whisky is a lengthy process, with a maturation of at least 3 years and a day needed, so a Lakes gin and vodka soon followed. In addition to their three core products (The Lakes Gin, The Lakes Vodka and The ONE whisky), the playful team have tested flavoured liqueurs made with the likes of Damson and Sloes and have also introduced an Explorer's Edition Gin, after a limited-edition batch proved too popular to ignore! This super premium version of the distillery’s multi award-winning The Lakes Gin features an eclectic mix of 15 carefully curated botanicals, including the use of local Cumbrian juniper and five other botanicals also native to the Lake District National Park. In Scotland, regulations state that whisky can only be matured in casks made of oak. These restrictions however do not apply for English whisky. That being said, The Lakes Distillery is focusing on very traditional methods for maturing their spirits; ageing whisky in casks once used for Port, sweet Sherry and more. It is said “ the wood makes the whisky” and 50-60% of the whisky’s character can come from the wood it matures in. The Lakes Distillery is putting a lot of care and attention in selecting these woods, so it will be fascinating to see how this plays out for 2018 and beyond. They make gin, vodka and whisky, sure, but they also do tours, host tastings, private functions, heck - they even give you the opportunity to be a stillman for the day and help mill the barley, operate the mashtun and fill a cask! And there's a Michelin-guide recommended on-site Bistro that operates under the guidance of award-winning Chef Terry Laybourne, and serves up everything from simple coffees and a slice of homemade cake, through to three course evening suppers. Which is pretty impressive for a distillery very much still in its infancy. In 2018... watch this space! 9) Did we mention the Alpacas?